After repeated proposals, a professional symphony orchestra, the National Orchestra, was finally established in 1945. Anderson Tyrer, who had conducted the Centennial Orchestra, was appointed to the unadvertised position of conductor, sparking a debate that persisted through his three-year term. Nevertheless, he was enthusiastic and hard-working, putting in long hours to train the fledgling orchestra. 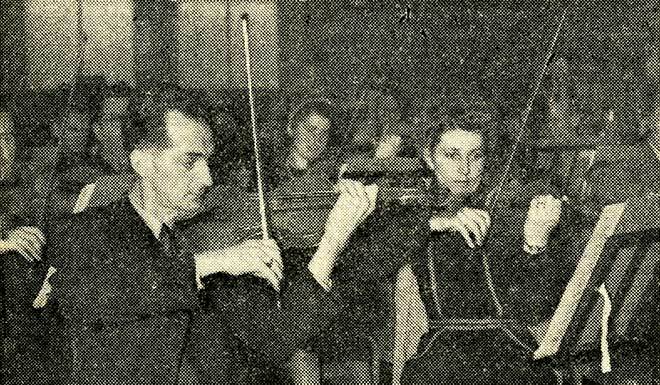 Members of the strings section are shown here at the first rehearsal on 24 October 1946.